We have been friends with Jorge and Amparo for more than forty years now. My wife and I celebrated the arrival of their children, Darly and Stanly. He was a young fellow wanting to become a preacher and I was a young missionary only a few years ahead of him. Jorge and his family have become some of my very best friends on this earth and he is one of the best preachers in our brotherhood in Colombia. 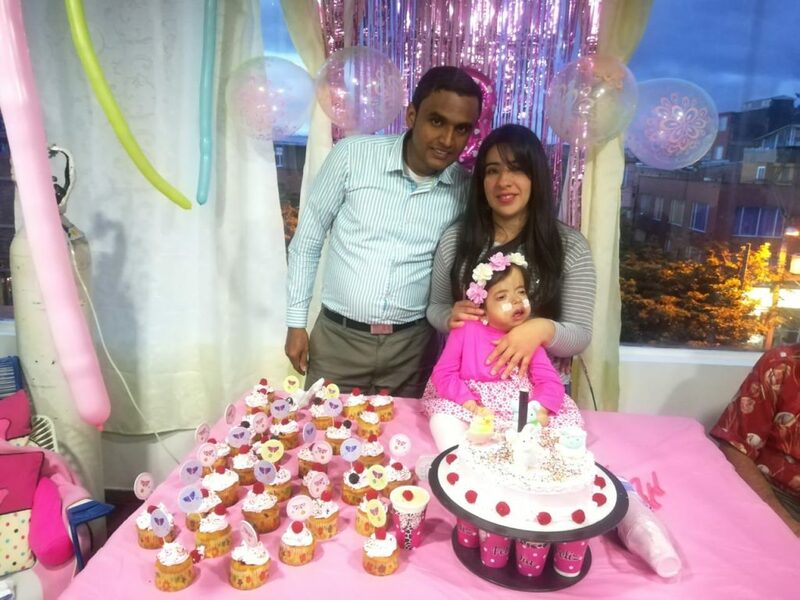 We celebrated with them when their daughter, Darly and her husband announced they were expecting and all looked forward to that special day. But when the baby was born, it soon became obvious there was a problem. She could not latch on and could not nurse. Baby Helen seemed to have other significant issues that also stumped her pediatricians. As time went on, instead of getting better, Helen’s problems only became more serious and more concerning. Helen slipped further and further behind what would be expected for her age, she even seemed to be going backwards instead of progressing. She could not speak or do anything for herself at a time when she should have been a hyperactive little toddler. Finally, the physicians sent blood samples to the United States and everyone anxiously awaited the results. When the results of those tests finally arrived they were devastating. 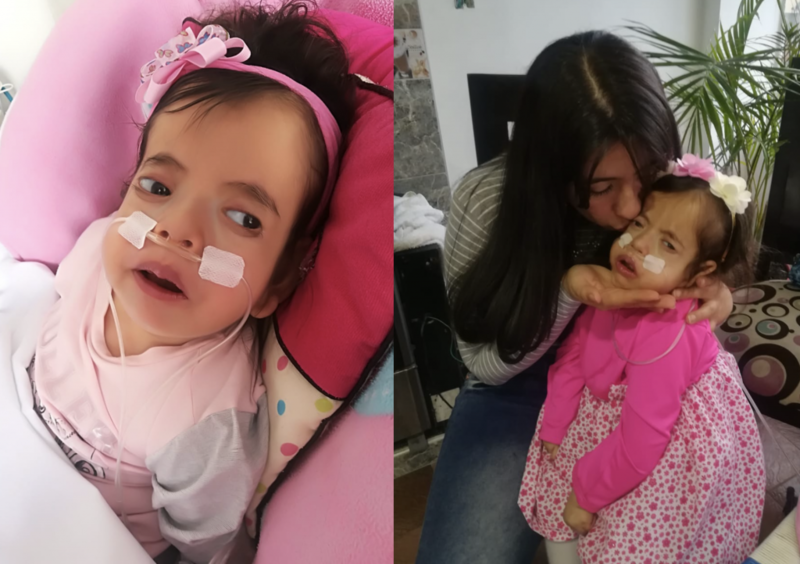 The little girl had Schinzel Giedion Syndrome, a very rare condition caused by a genetic defect. She is the only known case in Colombia. Helen will most likely remain in a near vegetative state the rest of her life. Her parents and grandparents were devastated; as are all of us who know, love, and appreciate them. We wept with them at the news. Still, Darly, her mother remains committed to loving and caring for Helen as long as the Lord has her here on this earth. But now that they know what they are dealing with, they need some special help in so doing. The little girl currently has a bone fracture from the lack of proper support in her bedding and in her transportation when they need to move her. But the special orthopedic stroller and chair will cost thousands of dollars here in Colombia and must normally be imported especially for the child. Securing this critically important equipment was going to be a challenge as well as a major expense. Naturally, we wanted to help. Wendy began checking and found a family in the States with a child in a similar condition. 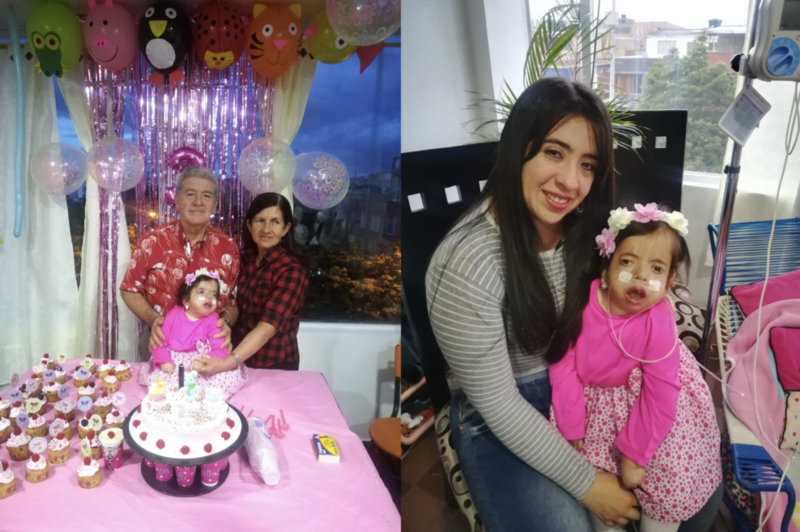 As a special blessing in the midst of such a challenge, the family of the little girl in the States informed Wendy that their daughter has just outgrown her own orthopedic chair and stroller. She is to get a new, larger one in May. They very generously agreed to donate more than $5,000 worth of equipment for the use of Helen. Next, we began checking on how to get it into Colombia. To have it shipped in would require an import license and cost over $1,400 to ship the stroller and the chair! On top of that, the process could easily take over a year. We began searching for another method of getting the chair and stroller into Colombia. Wendy checked and Delta Airlines, upon hearing the content of the package and the purpose, they agreed to take it for free as accompanied baggage! That is both more economical and eliminates the need for an import license! 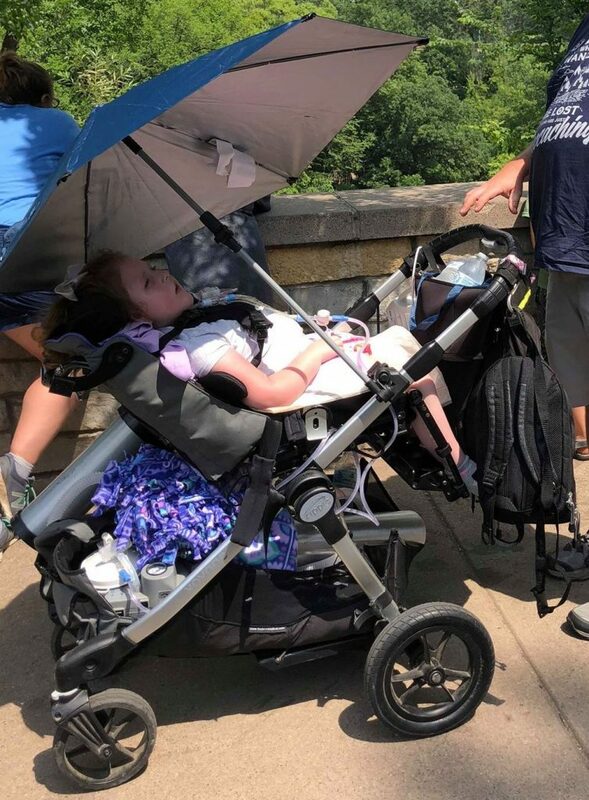 We jumped at the chance to get the chair and stroller in for this precious little girl and began to make plans for Wendy to bring the chair down as soon as it is available (below is a photo of the stroller with the girl that is outgrowing it).